Stress-free, efficient, and predictable – not usually words associated with the thought of finding a parking space. I know first-hand the frustration that comes with navigating to an open parking spot, hunting for change within the crevices of my car seats, and hoping the parking kiosk doesn’t eat my money today. Through SAP Vehicles Network and Tantalum Corporation – this may soon be an issue of the past. Tantalum Corporation just announced their agreement with SAP to integrate SAP Vehicles Network into their Pay.Car platform – resulting in finding and paying for services with just one click. Through this single-click, consumers have access to global parking options by managing available spaces. Pay.Car is the world’s first end-to-end billing, payment, and data management platform for connected vehicles. Ease of payment is not the only upside to this agreement. Tantalum is making a global impact on CO2 and NOx emissions allowing consumers to track and monitor their consumption real-time. Therefore, reducing car’s contribution to global pollution levels through innovation in automotive technology. This is especially pertinent in areas such as London where air-pollution is a major threat. Bans and charges on older, more pollutant producing vehicles are now in place throughout the city – and enacted heavier during high-traffic periods. Through the combination of monitoring individual’s emissions as well as reducing the time spent driving – Tantalum and SAP are playing a major factor in the future of public health. Overall, for the average citizen, this results in less congested roadways and time and gas saved from driving around in the hopes that someone is leaving their spot. 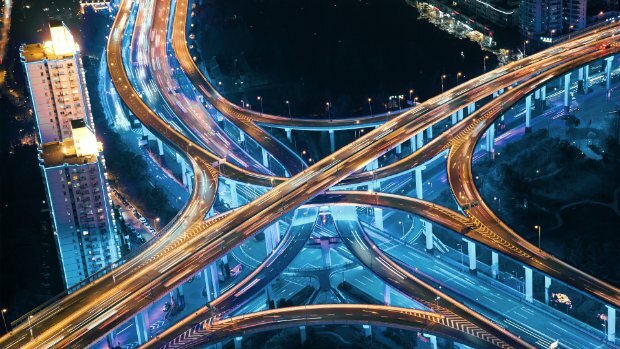 From an automotive professional’s perspective, the secure and scalable transaction platform can be utilized to drive growth, adoption and monetization of the connected car – and ultimately smart-cities as a whole. The platform’s unique ability to share revenue across service providers allows for maximization of opportunities for companies involved in the future of connected cars. Meet Tantalum Corporation at SAP’s Booth at the New Mobility World at the 67th Frankfurt International Motor Show (IAA). From September 14-17, 2017, at Booth C34, Hall 3.1., – SAP will provide insight into topics such as smart cities and the future of the automotive industry. Join us in discussion of connected-car endeavors of such as connected fueling, insurance, vehicle recovery, among others. Where do you see the largest benefits from connected vehicles? Let me know in the comments below.